Etchings & block prints have a timeless and classic appeal. I employ a personal calligraphy using the aesthetic sensibility and technology of prior ages and cultures. I love the three dimensional, sculptural feel of scribing paths of divergent lines onto varnished copper or carving long furrows into cork. 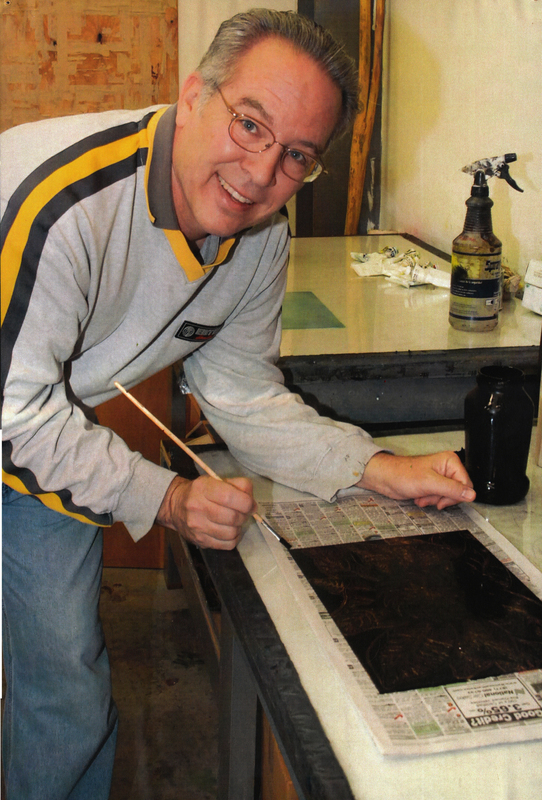 I enjoy hearing the hissing viscosity of ink as I wipe it across rich copper plate or roll it onto a cork surface. The sequential and layered nature of printmaking is the perfect means for building a grammar of personal expression that suggests the mood of my central subject. I relish the surprise of pulling a print from the press and discovering that the image and paper have become one. I appreciate the evolving, organic process of bringing an image to life.